Each Monday morning our synod staff gathers for devotions. Most of the time they consist of one or two readings and a reflection by whoever the leader is that day, and usually we close with the responsive prayer. All over Northeastern Ohio and elsewhere churches celebrated All Saints Sunday on November 2. 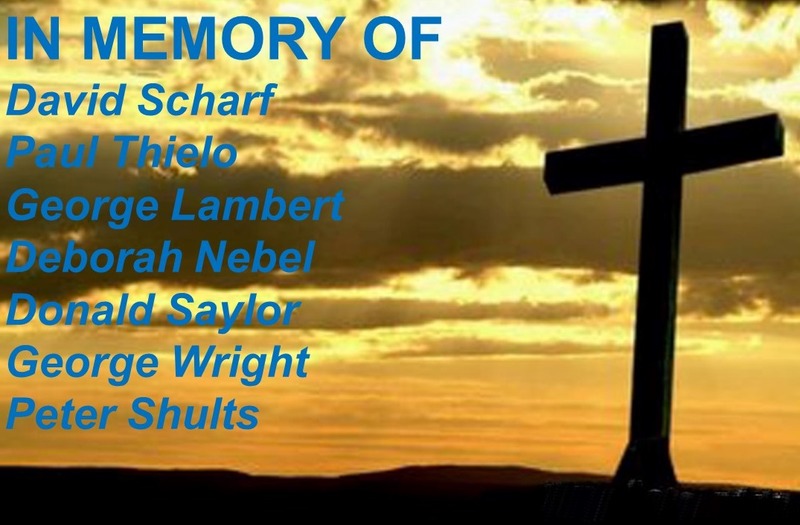 It is a tradition to remember those members of their respective churches who have died in the past year. As their names are called out, usually during the prayers of intercession, a candle is lit, in some cases a bell is tolled. At Covenant, where I served for the last five years, it is also a tradition to write each individual name on a ribbon and place it on the processional cross. That ribbon is then given to the families of the deceased as a remembrance of the day and their life of faithfulness while on earth. We would also add their names to a booklet that lists all deceased members, symbolic of the saints of every time and every place. I seem to recall that we in the Northeastern Ohio Synod used to keep a book of that sort, curated by the same pastor who was my predecessor at Covenant and who developed the booklet. The point is that All Saints is a day of remembering, and as we remembered those who were dear to us, I felt a need that we here in our little congregation of the synod office should remember those rostered leaders who served in our synod and entered the church triumphant over the past year, David Scharf, Paul Thielo, George Lambert, Deborah Nebel, Donald Saylor, George Wright, and Peter Shults. I’m sure they were remembered in some parish where they had a connection, but not collectively, as a group of servant leaders, by the judicatory in which they carried out their ministry, which is us. So we will do that this morning. In the conglomeration of commentaries I read over the past week, I was most drawn to the one by David Lose, the president of the Lutheran Theological Seminary at Philadelphia, who wrote about the sermon he would want to hear on All Saints. He encouraged pastors to expand their sermons beyond those human losses we grieve to include other losses in our lives. 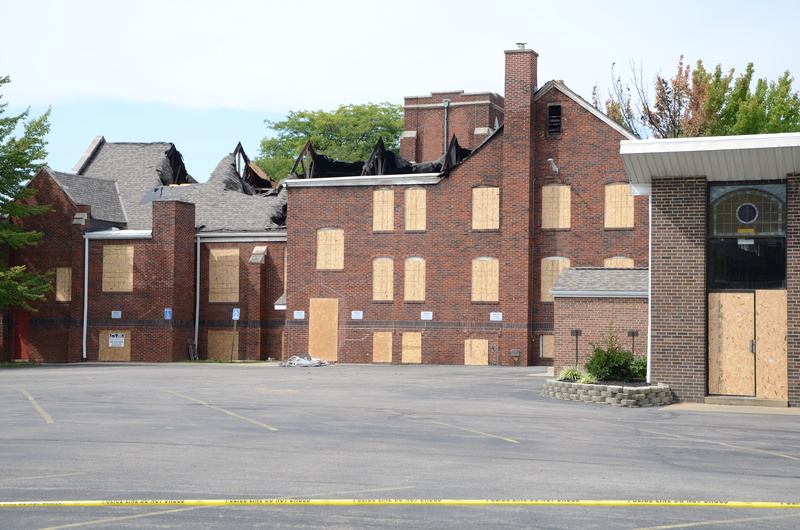 I think of the people of First Lutheran Church in Lorain and the adjustments they’ve had to make in their worship life since the fire of August 28th. I think of the people of St. Thomas Lutheran Church in Cleveland, and St. Matthew’s in Parma (two parishes which closed in the past year) and the void in their lives even as they worship in new faith communities. I can only speak personally as to how my new position, however exciting the challenge may be, also required me to take leave of a community of people I had grown to know and love, and how my wife and I still grieve that. As a result, I understand why many pastors don’t always respect boundaries and remain in contact with former parishioners. I also understand why we require pastors to distance themselves from remaining in communication with those in their parish, otherwise, they would never leave. It is one of those restrictions that has to be enforced so as not to undermine the ministry of the incoming pastor. In the changes that have occurred in this building since my election, each of you has suffered a particular loss. There are not as many people in the building as there once were. Perhaps you are grieving that daily interaction with those who worked alongside you for many years. I sometimes think we talk more loudly in order to compensate for the smaller number of voices that we once heard. It just happened to work out that way, but perhaps today is the ideal day to have our first staff round table and talk about those changes. Transitions are difficult. They are as agonizing as they can be rejuvenating. They bring as much sadness as pleasure. We linger in the moment of loss but we cannot remain. As we pause to remember today the changes in our lives and those servants who have gone before us and now rest from their labors, also keep in mind that they are rejoicing around God’s throne, and worship him day and night, as our Revelation text points out. We will, in several moments, also gather around Christ’s table, and share in Holy Communion, where we will join the people of all times and all places and offer thanks and praise to the one who is seated at the center of the throne, the one who also shelters and comforts us and accompanies us in our time of loss. And as we are fed with the body and blood of the lamb, we pray that we will remain in communion with those we remember today, as we look forward to the day when we, too, will hunger and thirst and grieve no more. How wonderfully insightful to suggest that we give ourselves permission to grieve losses in life other than death.